The Humidity Bricklet 2.0 can be used to extend the features of Bricks by the capability to measure relative humidity and temperature. The measured humidity can be read out directly in percent and the temperature directly in °C. With configurable events it is possible to react on changing humidity or temperature without polling. 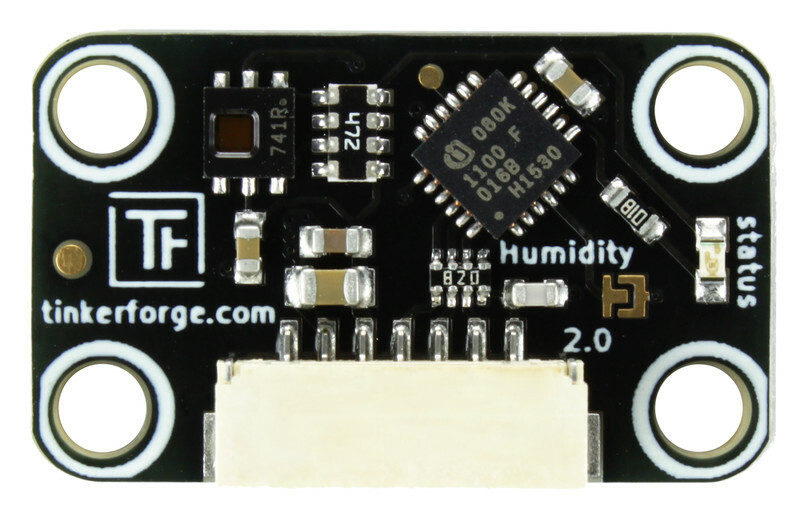 The sensor compensates the measured humidity internally with the current temperature. 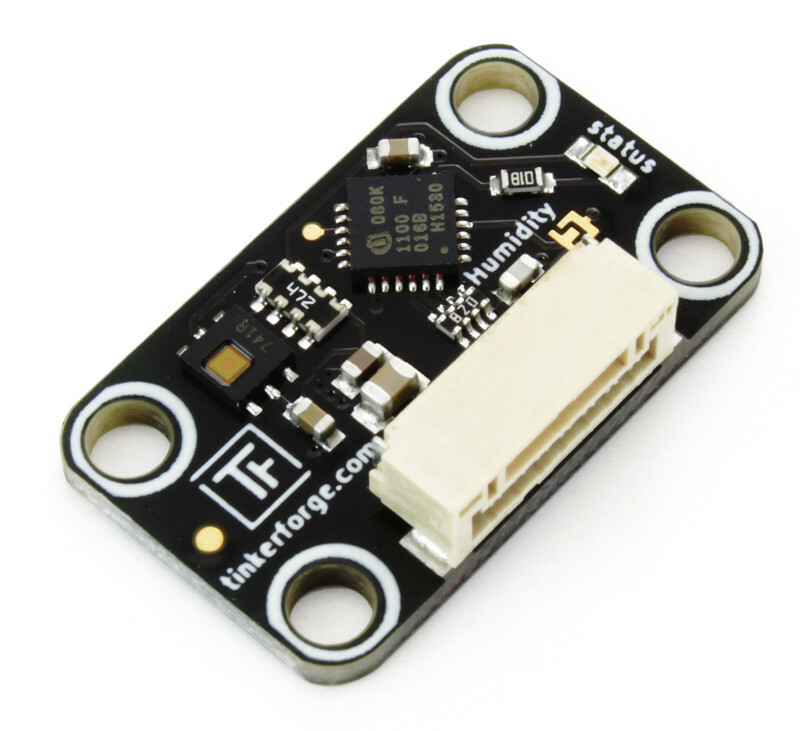 A heater is integrated into the sensor and it can be turned on through the API. It can be used to dry the sensor in extremely wet environments. A weather station is a typical application for this sensor. It can also be used in drying applications, environment monitoring etc. 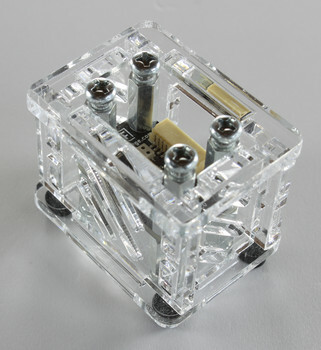 The Humidity Bricklet 2.0 has a 7 pole Bricklet connector and is connected to a Brick with a 7p-10p Bricklet cable. 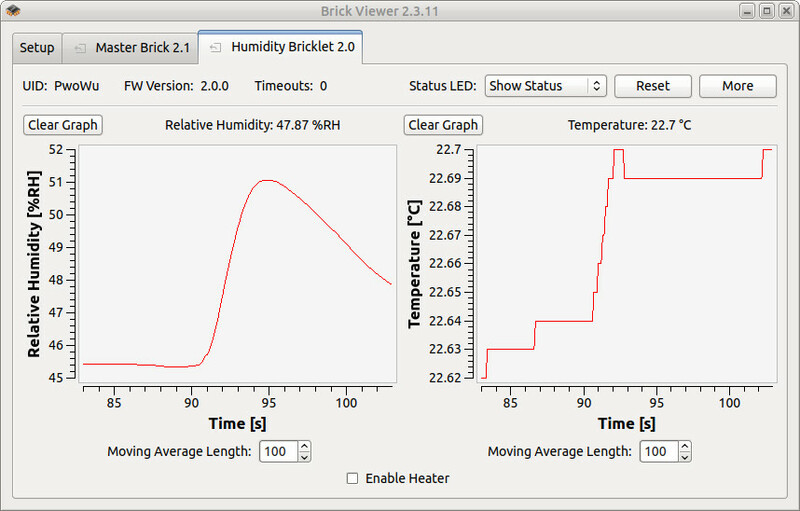 To test a Humidity Bricklet 2.0 you need to have Brick Daemon and Brick Viewer installed. Brick Daemon acts as a proxy between the USB interface of the Bricks and the API bindings. Brick Viewer connects to Brick Daemon. It helps to figure out basic information about the connected Bricks and Bricklets and allows to test them. 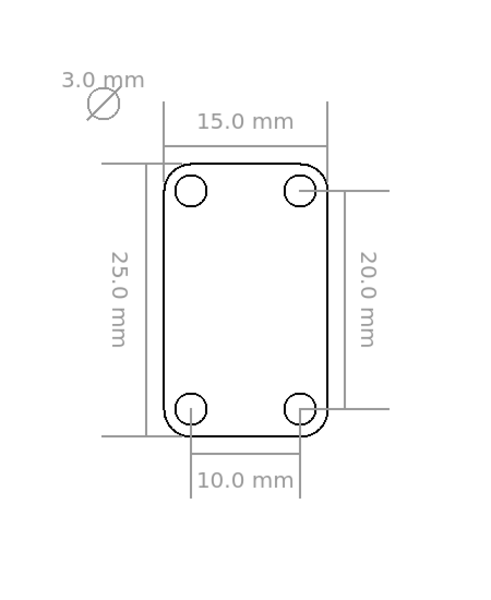 Connect the Humidity Bricklet 2.0 to a Brick with a Bricklet Cable. If you connect the Brick to the PC over USB, you should see a new tab named "Humidity Bricklet 2.0" in the Brick Viewer after a moment. Select this tab. If everything went as expected you can now see the measured relative humidity and temperatures as well as a graph that shows both values over time. To test the sensor breath over the sensor. The relative humidity should rise and fall again. After this test you can go on with writing your own application. See the Programming Interface section for the API of the Humidity Bricklet 2.0 and examples in different programming languages. A laser-cut case for the Humidity Bricklet 2.0 is available. If enough liquid water forms on the sensor under condensing conditions, this water can create a leakage path. This leads to erroneous readings. Once this water evaporates the sensor returns to normal functionality. You can use the integrated heater to dry the sensor. 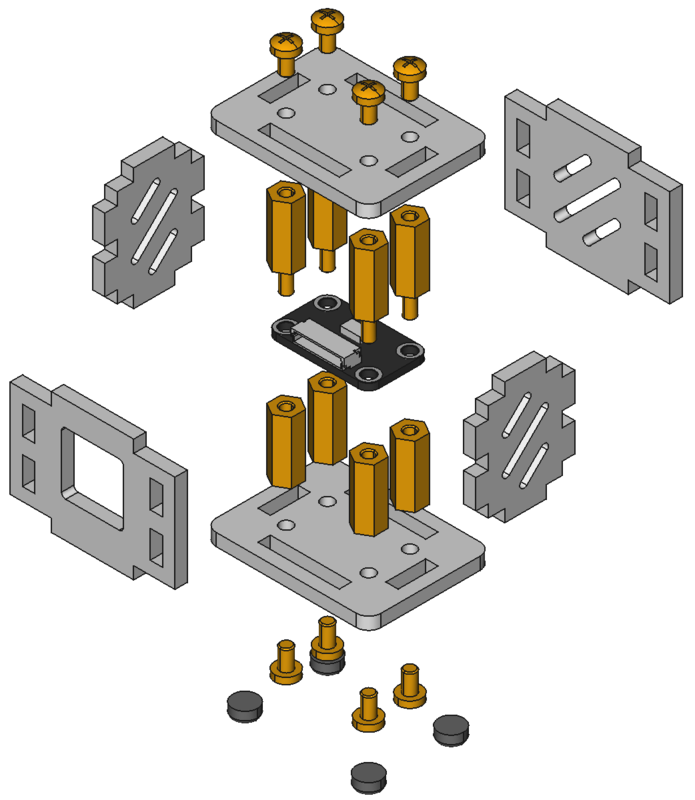 If you want to use the sensor under heavy condensing conditions mount it top side down. If this not suffice protect it e.g by foam.